My kids love having tea parties. We dress up and make it special. 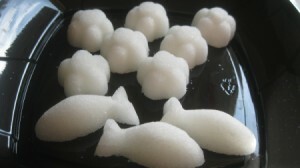 Well, I discovered a while back that you can make shaped sugar cubes. How fancy is that? With a little trial and error, I figured out the right measurements to make it work. The tea parties have been taken to another level! These also make a nice gift. You could package some up and include with a mug and tea bags for a sick friend. It's something simple, but would mean so much. Total Time: 10 minutes or so. About 2-3 days to dry. 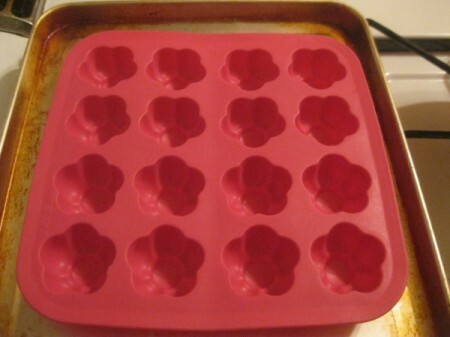 Yield: These measurements made 16 flower-shaped cubes. ice cube mold or candy mold, the less intricate, the better. If there are too many features, the sugar may break easier. If making a gift, you need: a mug, tea bags, a baggie to put the sugar in, ribbon to tie up the bag. 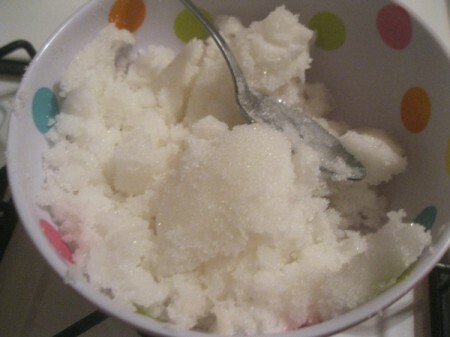 Pour 1 cup of sugar into a bowl. Pour the water, trying to wet as much sugar as possible. 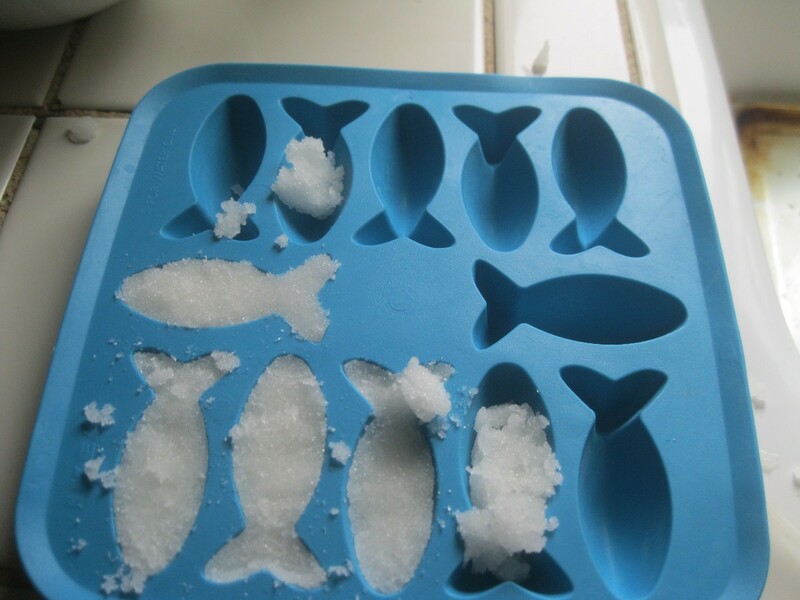 Don't add too much water, or these will take forever to dry. Mix. It may take a little coaxing at first, but keep stirring. The sugar needs to be the consistency of moist sand. Spoon some mixture into each mold. Press firmly. You really want to apply some pressure or the cubes won't hold together. 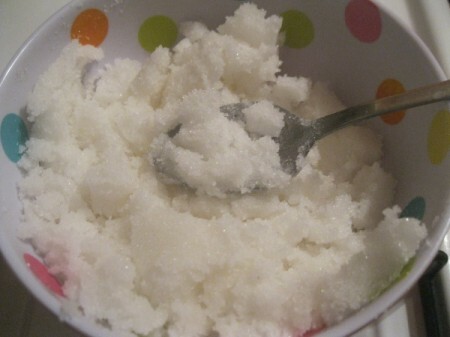 Use the back of your spoon to push a little more and to level it off. Let your cubes dry in a dry spot. After 2 days, check on it. Try to get the cube out by gently pressing on the back of the mold. If it breaks apart, they aren't ready! Wait til tomorrow. Then, try gently pressing it out again. There will be a couple that break off, but most of your cubes should be intact. 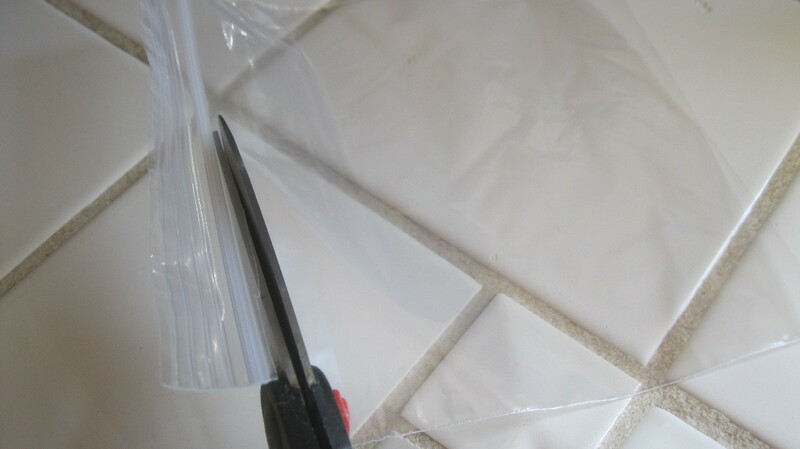 Flip the cubes onto a plate or some other flat surface so they can dry a little more, for a day or so. 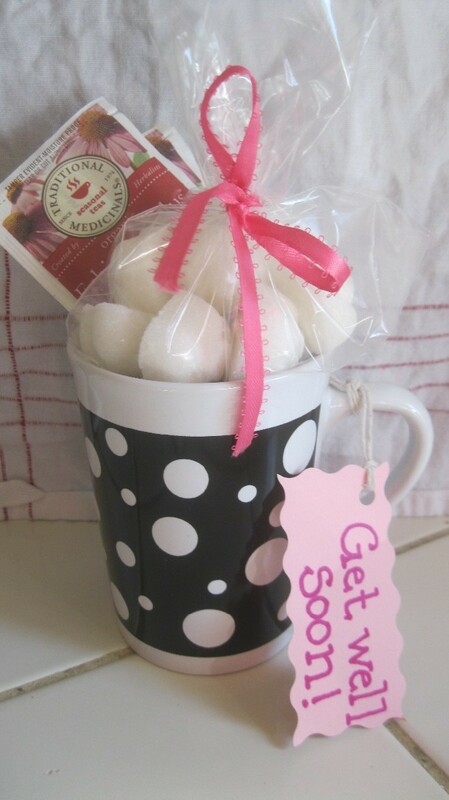 To make a "get well" gift, put some tea bags into a mug. 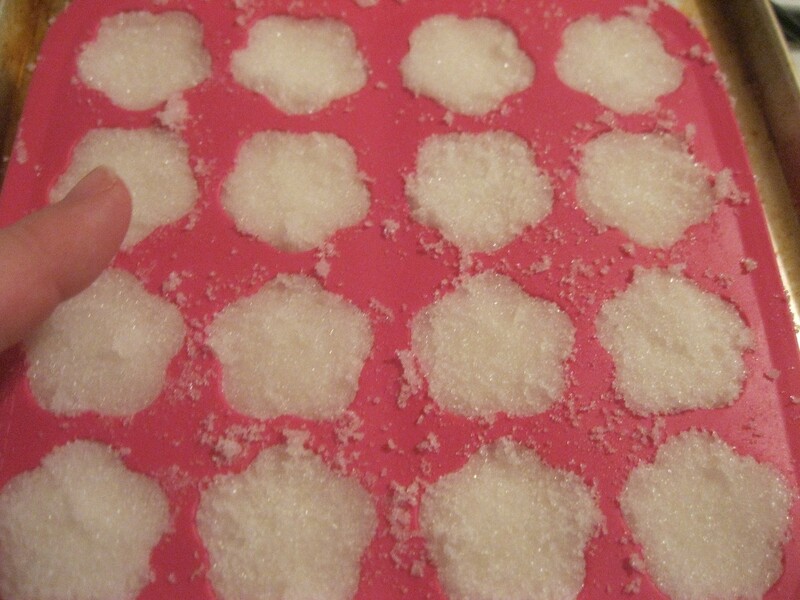 Bag up your sugar cubes. I cut the top off of a baggie. Put your cubes in and tie with a ribbon. You could even attach a little tag, wishing that the recipient gets well soon! That's neat. Have you tried putting in a little food coloring?